Graham has obtained his DHF Industrial Door Safety Certificate! 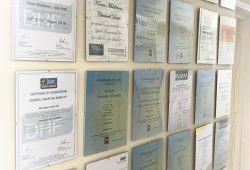 Graham has recently obtained his DHF Industrial Door Safety Certificate. It’s the latest addition to our wall of fame! 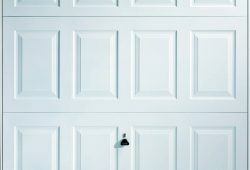 Hi I just wanted to thank you for the fitting of our new roller garage door, with which we are very please. The whole experience was simple and carried out within a very acceptable timescale (very rare these days). 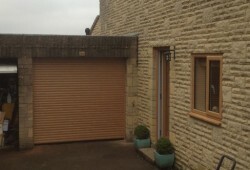 The 3 ‘lads’ who fitted the doors were excellent both in their manner and their workmanship. NEW! 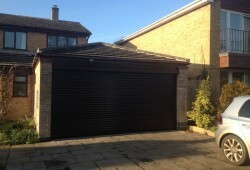 Irish Oak finish on rolling garage doors now available. Please call for more details.